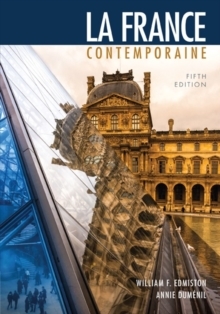 Immerse yourself in the France of today with LA FRANCE CONTEMPORAINE. The text will improve your understanding of the Francophone world and your communication in French, using up-to-date information on the political, social, technological, economic, and rich cultural forces that affect this fascinating country and its people. End-of-chapter comprehension and discussion activities, sample quizzes, and an integrated companion website help you master the material and fully appreciate everything that makes France French.